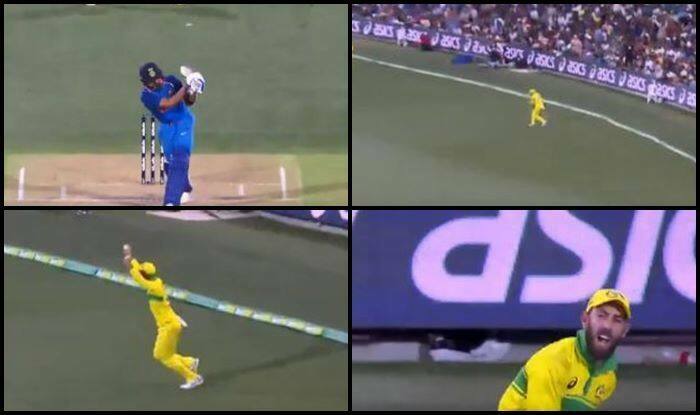 2nd ODI India vs Australia Adelaide: India skipper Virat Kohli's epic 39th century came to an end when he picked out the fielder at deep mid-wicket where Glenn Maxwell gleefully accepted the catch. 2nd ODI India vs Australia Adelaide: India skipper Virat Kohli‘s epic 39th century came to an end when he picked out the fielder at deep mid-wicket where Glenn Maxwell gleefully accepted the catch. Kohli scored 104 off 112 balls an innings that was laced with five fours and two sixes. It was a full ball at the stumps, Kohli nailed the flick shot, but found Maxwell. It went flat and straight to him. Pressure on India’s lower middle-order now, big test coming up. Meanwhile, Kohli gets a standing ovation as he walks off. Earlier, Australia scored a competitive total of 298/9, courtesy Shaun Marsh’s big hundred 133. Glenn Maxwell also contributed with a quickfire 48 to lift hosts. The home team won the toss and opted to bat against India in the second game of the three-match ODI series here on Tuesday.